This package departs from Los Angeles (LAX) and returns to San Francisco (SFO). Add-ons are available to depart and return from the same airport. 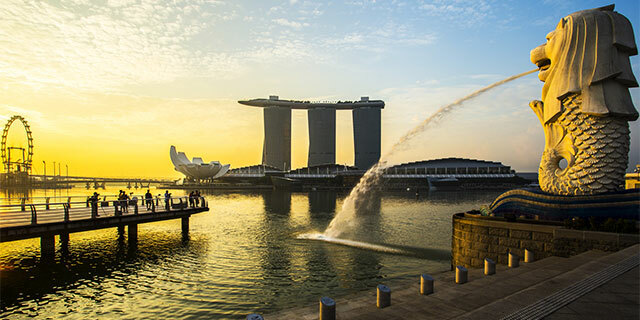 Prepare for an adventure through three of Asia’s most iconic cities: Tokyo, Singapore and Hong Kong. Among the most modern in the world, each still perfectly maintains an aromatic blend of historic sites, traditional culture, and food that has been simmering for centuries. You’ll begin your adventure in Tokyo, a place so deliciously different from what we know: cherry blossoms framing a silhouette of Mt. Fuji, sushi and ramen, karaoke and kimonos, a place so deeply rooted in process and tradition yet so welcoming of the future. And all coalesce into a perfectly preened bonsai tree for the inquisitive traveler. 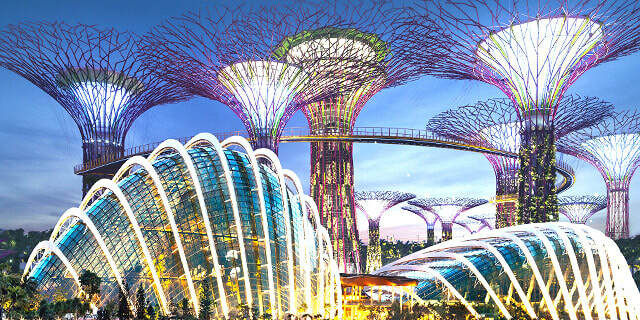 Then, continue on to Singapore, a city state that warmly embraces the kaleidoscope of peoples that call the country home. This melting pot has left a lasting impact on the vibrant culinary scene, one of Southeast Asia’s best. 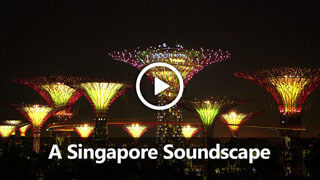 Futuristic attractions like Gardens by the Bay and Marina Bay Sands have enhanced the city skyline. 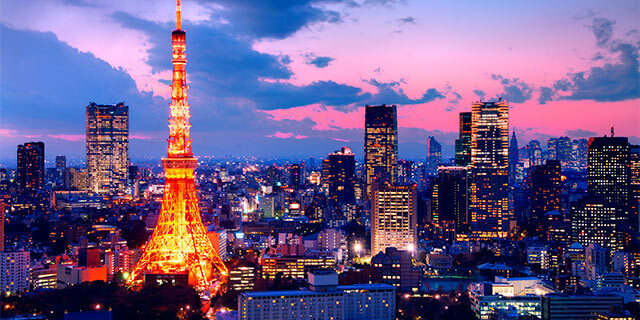 However, the country still retains its charming, temple and street-food laden neighborhoods. Finally, explore Hong Kong, a truly cosmopolitan mélange known for its glorious harbor, excellent shopping, renowned restaurants, and perhaps the best nighttime skyline in the world. Hong Kong has it all! Unfortunately, we don't offer late returns on this package. Want to extend your trip? 2. 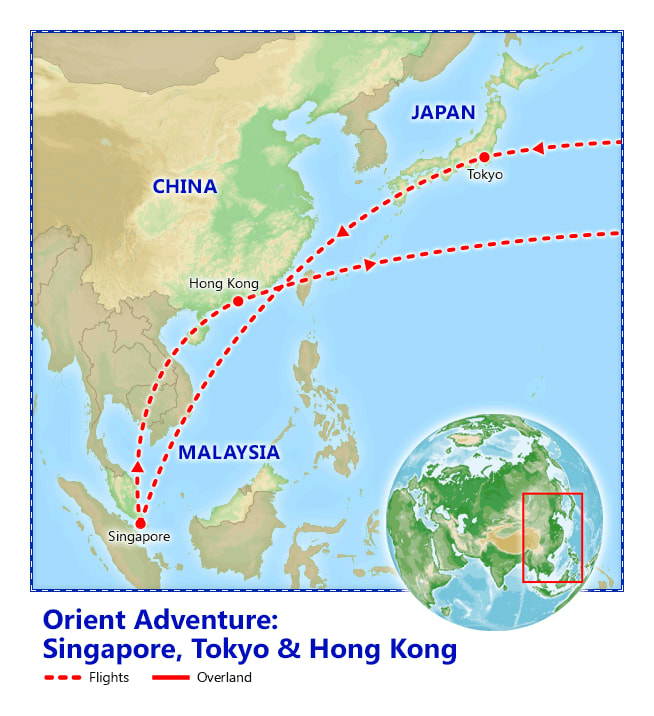 May 15 departure optional tour sequence is reversed: Nikko will operate on Day 5, and Mt. 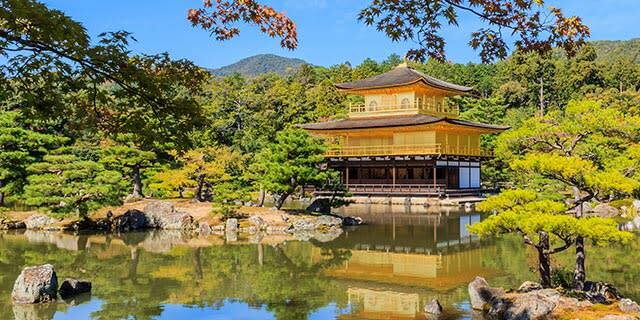 Fuji & Hakone on Day 4 - Apr 24 & Sep 18 departures: optional tours to Nikko and Mt Fuji will operate on Day 4. There are no optional tours running on Day 5. Please choose one of the optional tours. 1. 1 night Holiday Inn LAX Airport Hotel with breakfast and free shuttle service. 1. 1 night Best Western SFO El Rancho Inn with breakfast and free shuttle service. 1. You can depart from and return to the same city (Los Angeles or San Francisco), for a little bit more. Ask us about price and availability when you book, in the special requests section. Optional Excursion: Robot Restaurant Show, $65. Enjoy the famous Robot cabaret show at the Robot Restaurant in the Kabukicho red-light district. The hour-long show is full of flashing neon lights, techno music and drums, while brightly colored robots perform. Your entry ticket includes one drink (beer, sake, mineral water or soft drink), but dinner is not included. Show time is 7:50pm. Make your own way, independently to/from the restaurant, arriving at least 45 minutes prior to show time. Tickets must be booked in advance. The official show price is approximately $80. Save $15 if you book ahead with Friendly Planet. Please note: Due to the high-tech nature of the robots, unexpected maintenance is sometimes necessary. Should this happen during your scheduled visit, your visit will be rescheduled to the following day. Full Day Itinerary: Enjoy the next two days discovering the wonders of Tokyo and all it has to offer. Your hotel is conveniently located in the center of Tokyo and by train or subway you can easily explore Tokyo's major attractions using your pre-paid Suica transit card. From popular shopping areas like Ginza and Omotesando, where you can purchase the latest fashions, to sprawling entertainment and nightlife districts like Roppongi and Shinjuku, Tokyo seems to have a place to indulge in every desire. And, by taking a relaxing stroll through one of Tokyo's beautiful parks or gardens, you may even forget that you're in the largest city in the world. 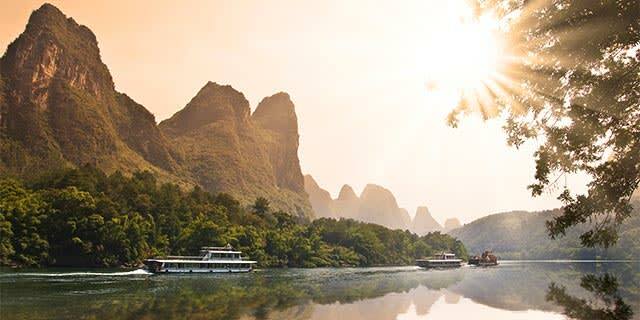 See the sights on your own, arrange optional excursions or schedule a day trip to Mt. Fuji or Nikko. See the Optional Excursions section below for more information. 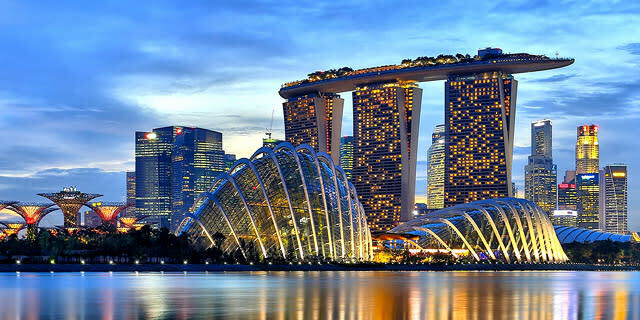 Accommodation: 3 nights Swissotel Merchant Court Singapore. Included meals: Breakfast. Please note: The Merlion Statue at Merlion Park will be undergoing renovations through Dec 2018 and will not be available for photographing due to the scaffolding around it. Accommodations: 3 nights The Royal Garden Hotel, Hong Kong. Included meals: Breakfast. 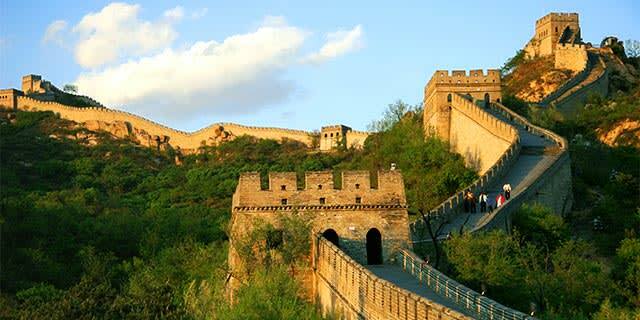 Optional Excursion: Full Day Macau Tour, $140. The name “Macau” is derived from the name of a Chinese Goddess, popular among seafarers and fisherman, known as A-Ma or Ling-Ma. On this full day tour, you’ll be picked up at your Hong Kong hotel and taken to the ferry station where you’ll cast off bound for Macau. Your tour includes visits to some of Macau’s most popular sights: The statue of Kum Iam, Macau Tower and A-Ma Temple, just to name a few. You’ll even get a chance to try your luck at one of Macau’s famous casinos. 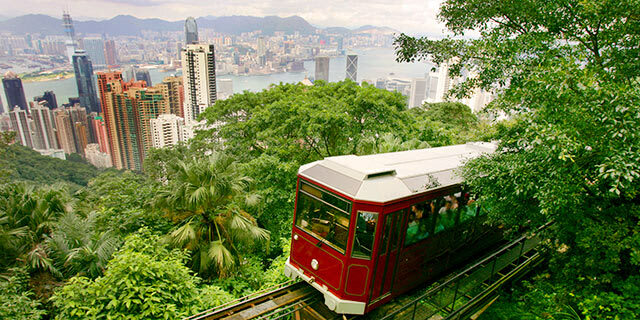 The tour also includes lunch and return transportation to your hotel in Hong Kong. This is a regularly-scheduled, English-speaking bus tour and may have pick-up service from various hotels. Note: Men wearing shorts or children under 21 will not be permitted entry into casinos. 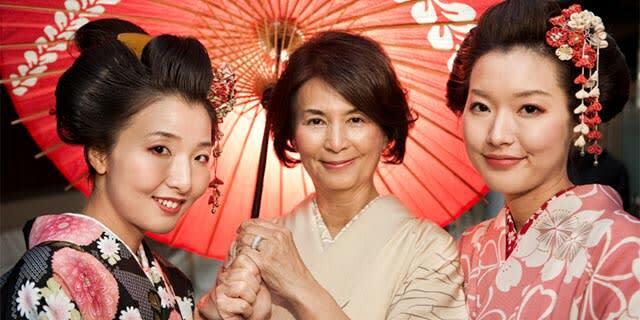 The 5-star Hotel Okura Tokyo neighbors the Roppongi entertainment district and is located 1 mile from the Imperial Palace, Roppongi Hills, and Hama-Rikyu Garden. The Kamiyacho & Tameike-Sanno subway stations are also nearby. 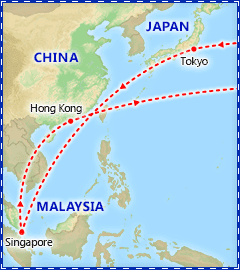 Can I make changes to my trip? Want to upgrade your seats? Something else? Just ask!